Purchased 2 for both of my toddler grandchildren. It's a great product but the pull string needs to be a bit longer so they can pull it around the house. The personalization came out PERFECT!! I had this sent to Great Grandson. Christmas gift, Was well received by parents. Purchased for my great grandson, 20 mos. Everything about it is great. Was a hig hit with my great grandsoon. I ordered this for out great grandson. Love that it could be personalized with his name. I'm sure my grandson will have lots of fun with the wagon and blocks! An attractive early educational toy. 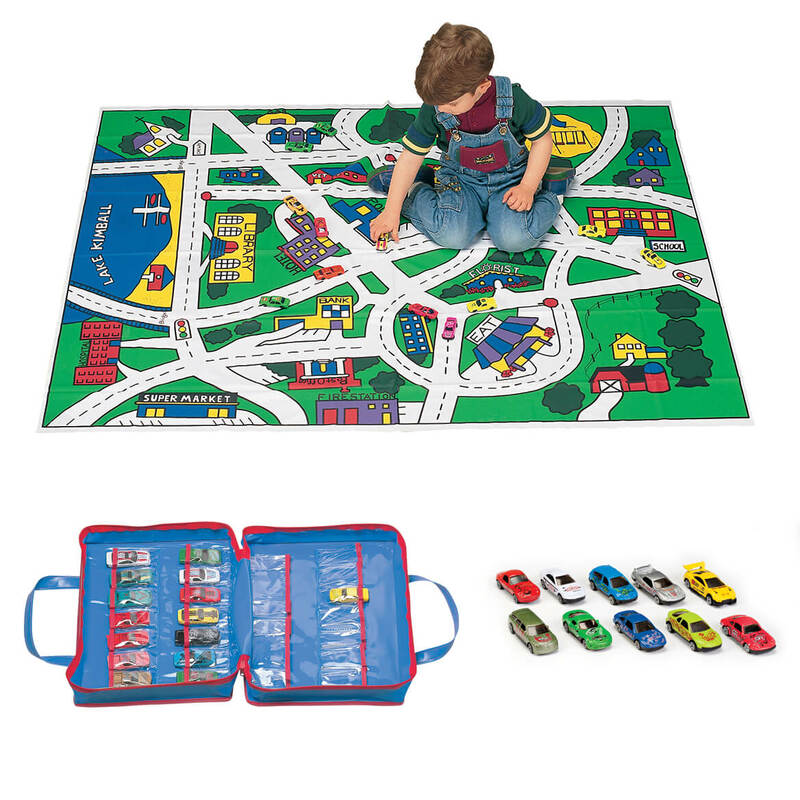 A great early educational toy for the whole family to use and enjoy with playtime on the floor with the little one. Love the dovetailed assemblage. use as a decorative piece, when not in use. I have bought one for each grandchild, as well. I am a grandmother and a retired educator. I remember vividly playing with blocks and Lincoln Logs for hours on end building everything I could think of at ages 3 through 8. I can't wait to help my seven-month grandson learn to use these blocks in the same way. What a wonderful way for him to create and to learn his numbers, shapes and alphabet. Michaelloves it and plays with it daily!! I actually bought this for a friend and when I opened the box I couldn't help playing a little bit with it because of how cute it was. I know her child is going to love this for Christmas! My son enjoys this toy. He just wants a longer string so that he can pull it without having to bend over. The blocks are good, I suggest using the cart as a decoration on the wall. It won't last long, if I child plays with it. I was disappointed when I opened the box. I thought it would be bigger than what it is. I remember my son having one of these 28 years ago and it had full size blocks, 2 layers with the pull cart. My mistake for not reading the whole description! 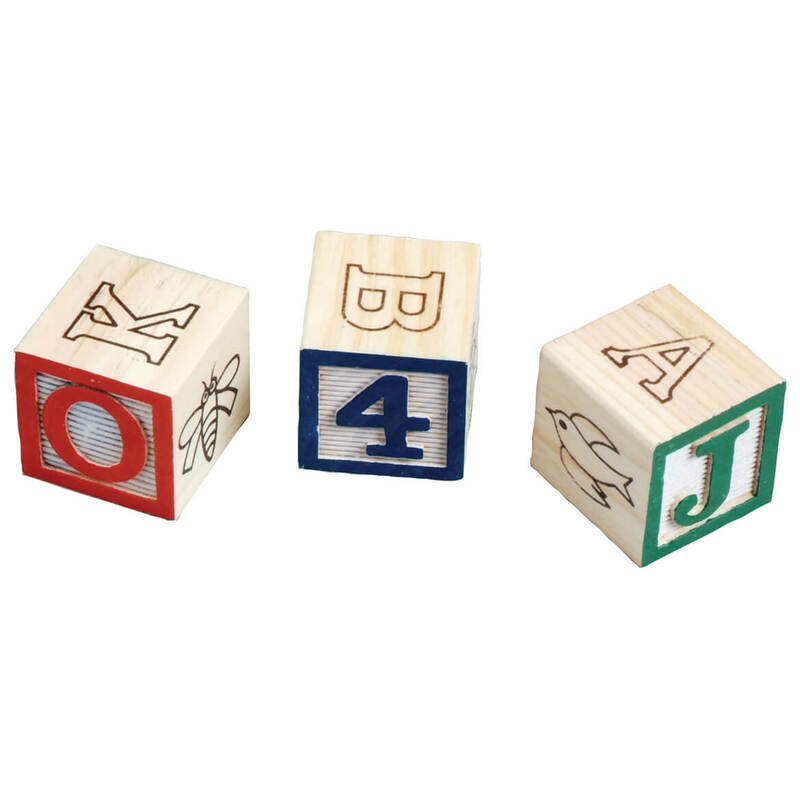 When I saw the words "classic wood alphabet blocks", I thought they would be like the ones my three kids had when they were little. BIG MISTAKE! They are WAY smaller! 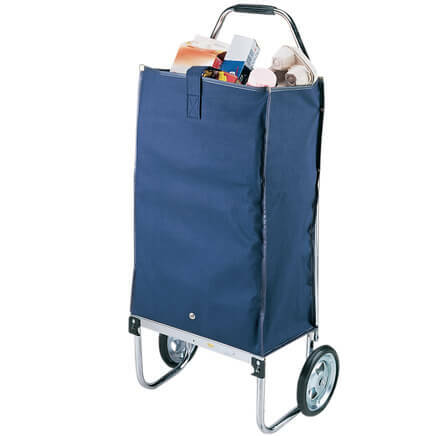 The cart looks very cheap and the personlization on it was done with no eye to detail in my opinion. I could have done a better job myself! Repeat purchase. Good quallity blocks and paint. My grandson can move and learn at the same time. We are teaching our 2-year-old grandson how to learn his alphabet and to spell simple words. These will be sturdy and great! Also, it has its own storage container. 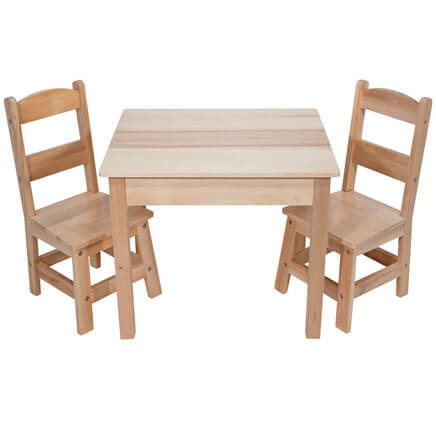 Looks sturdy and the price is great. 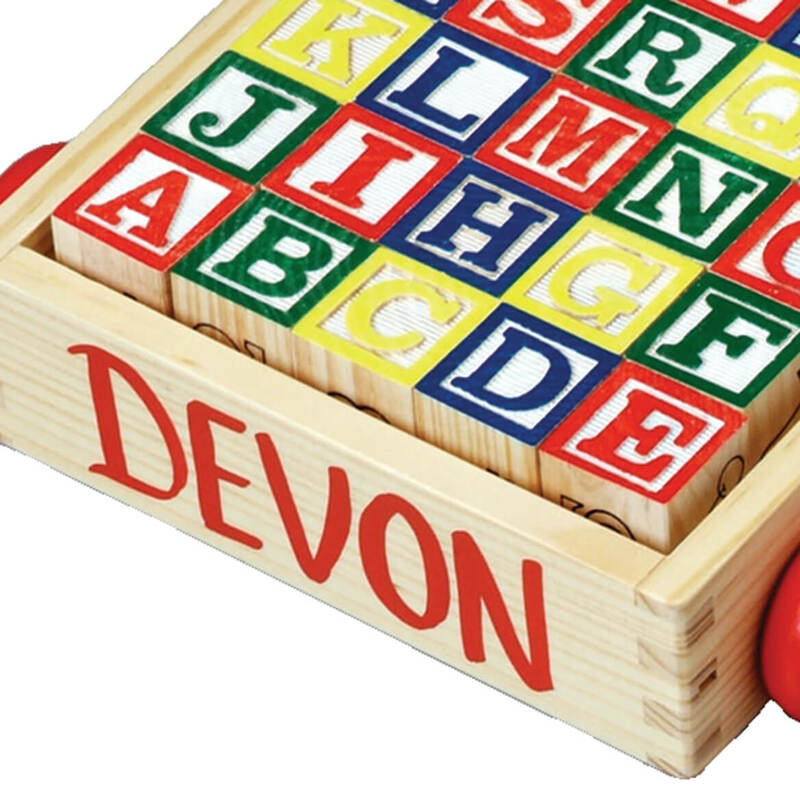 I got these wooden alphabet wooden blocks because my grandson will be 4 years old this month and these wooden blocks is very educational for kids his age, It will help him to learn how to spell , read, count as well as abc's. 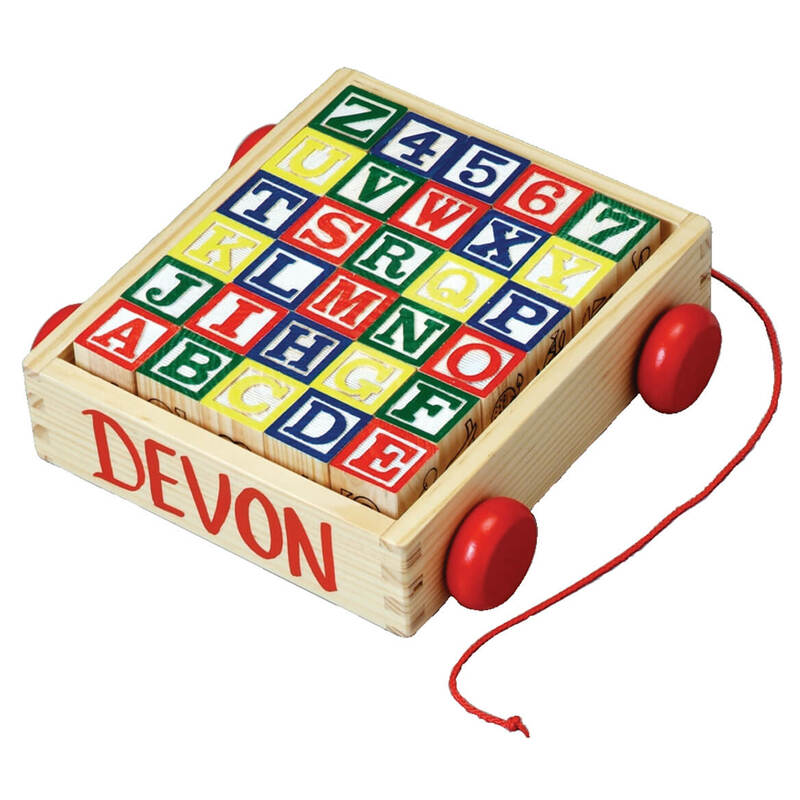 He will love playing with these color blocks and pulling the wagon around with the blocks in it with his name on it. One of the best classic toys for early education - hands on manipulative -- stacking, colors, and my daughter learned her letters by 20 months! I think my grandson will love this. It's so old school. reminds me of blocks my children had as children. I wanted this set because it reminded me of the blocks my boys had. I also wanted my grandson's name on wagon. 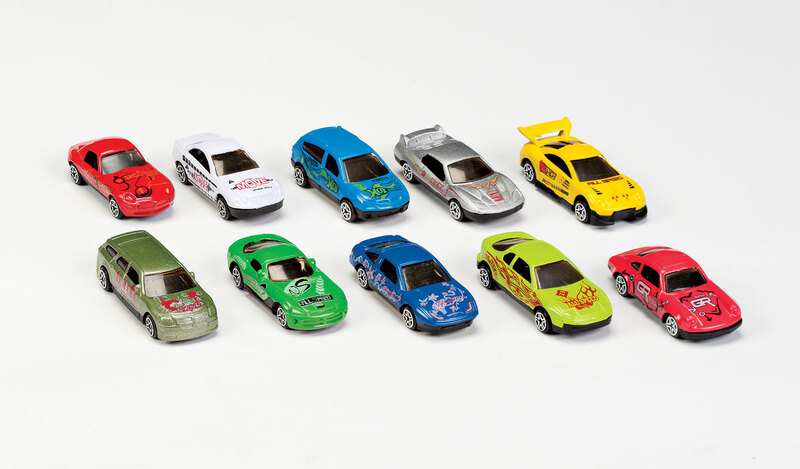 It's personalized and reminds me of old fashion toys and it's a learning toy too. For my great grandbaby's birthday. Anything educational is worth the $$$. 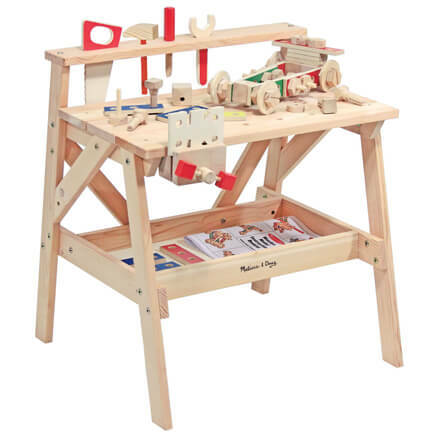 Easy for the little ones to keep up with their blocks now. Been looking for blocks. The wagon was cute but the name on the wagon sealed the deal. Baby girl loves wooden blocks. I love personalizng it! My first grandson is coming soon! I have bought these before. Children and parents always love blocks. the personalized box of blocks was not available. What country are these made in??? BEST ANSWER: It says made in China on the bottom.